At Missional Marketing, we understand that each church is in a different stage of growth and that some organizations will not have access to the resources involved in hiring a professional marketing firm. While we strive to provide a range of affordable tools and customized service options, we know that other budgetary needs affecting the overall health of the church may take precedence and that developing a marketing budget takes time. We greatly appreciate you taking the opportunity to learn more about Missional Marketing, and as our thanks to you, below are some important recommendations for small churches that don’t yet have the budget to hire our church marketing agency. 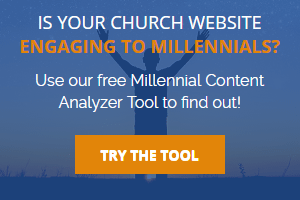 Choose a domain name that contains the “church” keyword. Build your next website using WordPress. Install the Yoast SEO plugin to assist in optimizing your website content for SEO. 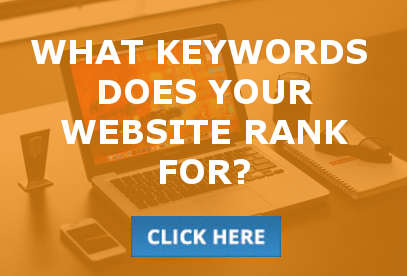 As you add content to your website, try to include these focus keyword topics. One way to do this is to find a volunteer who is a good writer and have them blog about these topics. Connect Google Analytics and Google Search Console to your website. Even if you aren’t active going to monitor them just yet, connecting them early will allow you to capture a wealth of important data for future use. 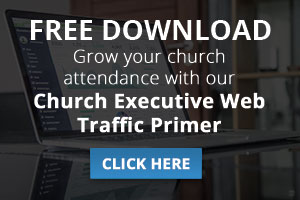 Make sure your website’s homepage has clear information about attending a service or otherwise connecting with your church. Claim your Google My Business account and be sure the Name, Address, and Phone Number match your website perfectly. Make sure the additional information on your Google My Business profile is as specific as possible. 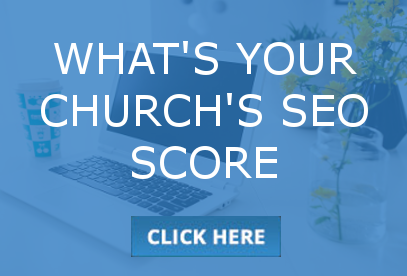 Make sure your church name, address, and phone information is present on the homepage of your website. Start Facebook and Instagram accounts and connect them to your website. Claim these top citations and be sure the Name, Address, and Phone Number associated match your website perfectly. Ask your enthusiastic attendees to go to Google My Business and give you a 5-star rating with positive comments. If your church has 501(c)(3) status, apply for a Google Ad Grant. Once you have secured your Google Ad Grant, run an ad campaign using Google Adwords Express to limit the complexity and management effort required. 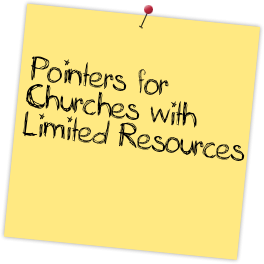 Fill out an application for assistance from the Church Web Fund. This private foundation was created in order to provide education and funds to under-resourced churches for the purpose of helping them catch up and keep current with their internet presence. While the organization is just beginning to approach donors with grant requests, they hope to begin offering support to churches as soon as 2019. To be added to the queue for 2019 or 2020 grants, make sure to fill out a Church Sponsorship Application here. We hope that you find these basic tips useful and that you continue to keep in touch with us as your organization grows. Be sure to continue to visit our website for regularly updated content, including free tools and assessments, blog posts, and other valuable resources.